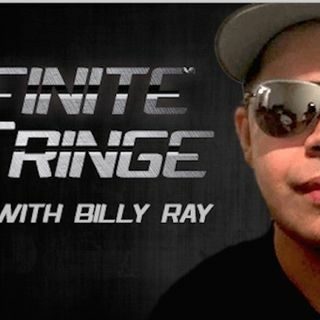 Billy Ray Valentine, host of the excellent Infinite Fringe show on Truth Frequency Radio, swaps position to become the guest. We consider some of the many ways in which Western culture has manipulated humans into becoming cut off from their true connectedness to their natural surroundings, and to Creation generally. We start out by discussing how the changing of the clocks throws our natural body rhythms out of synch, and the disjointed calendar system we adhere to, before covering the ... See More popular tradition of Halloween. While this may have started as a well-meaning pagan festival to commemorate the dearly-departed, the ‘elite’ dark occultists have seen to it that it has become a celebration of death and darkness, timed to coincide with the sun’s descent towards its own ‘death’ at the Winter Solstice. This leads us into some heated reflections on the Transhumanist/ AI society that is already upon us - an endeavour to create a totally synthetic reality to rival the one set into place by the true Creator. We muse on whether human society has passively allowed itself to be led so far down this path, that we’ve reached the point of no return, and the inevitable result is a complete reset of everything - the latest of many over the course of human history. Only when we, collectively, take responsibility for resisting evil and tyranny - no matter how seductively it might be packaged - will the final playout be any different.